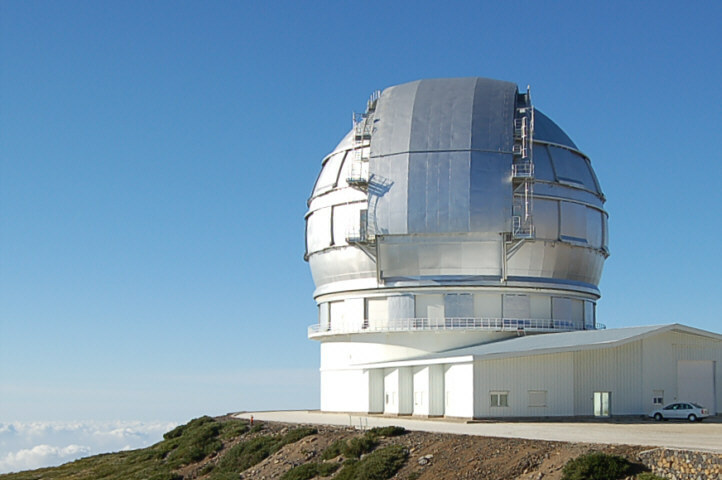 One of the best three equipped worldwide astronomical observatories is located on La Palma. Some special climatic conditions, including high location above the clouds, clear sight and no light pollution, provide the best conditions for astronomical research. About 30 years ago, the United Kingdom became interested in installing an astronomical site atop the island of La Palma. Previous site testing established as a good location the top of the island at 2400m altitude, close to the edge of the extinct Taburiente volcanic caldera. 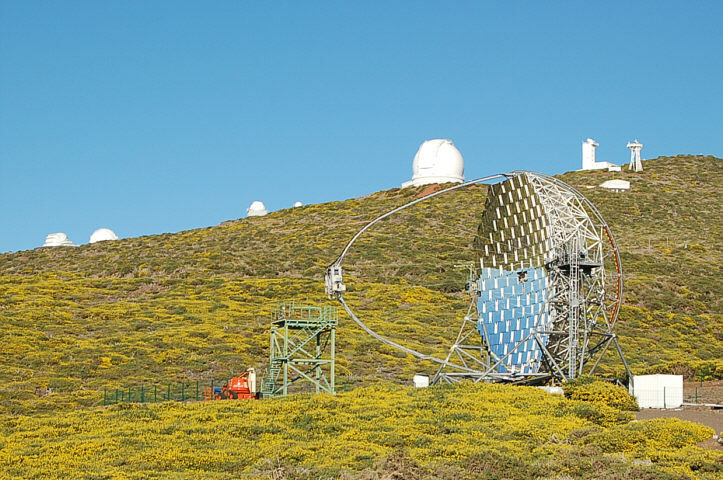 Three telescopes were sent during the next years, namely the Isaac Newton Telescope (INT 2.5m, moved in 1979 to La Palma from the mostly clouded Royal Greenwich Observatory), the Jakobus Kapteyn Telescope (JKT 1m installed in La Palma in 1983) and the William Herschel Telescope (WHT 4.2m installed in 1984). Soon, other countries became interested in installing their telescopes and instruments at ORM, including Spain, Sweden, Denmark, the Netherlands, Italy, Norway, Finland, Germany, the United States, Mexico and others. 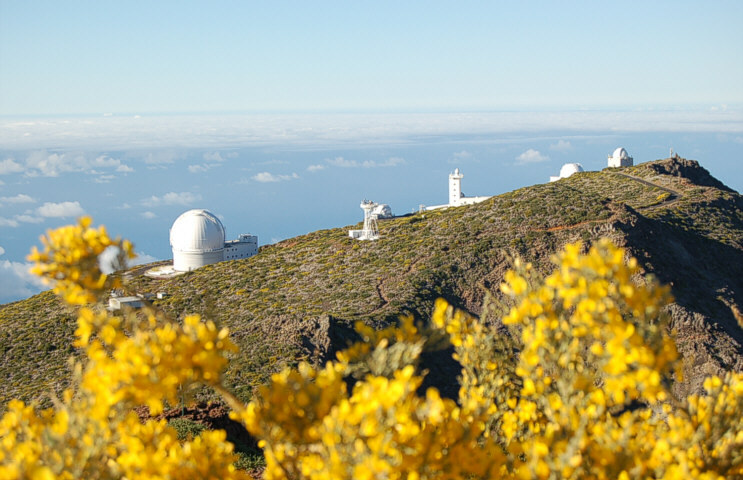 The Roque de los Muchachos Observatory was officially inaugurated on the 29th of June 1985, by the Spanish royal family and six European heads of states who landed together on some helicopter pads built for the opening ceremony of the ORM atop the island La Palma. 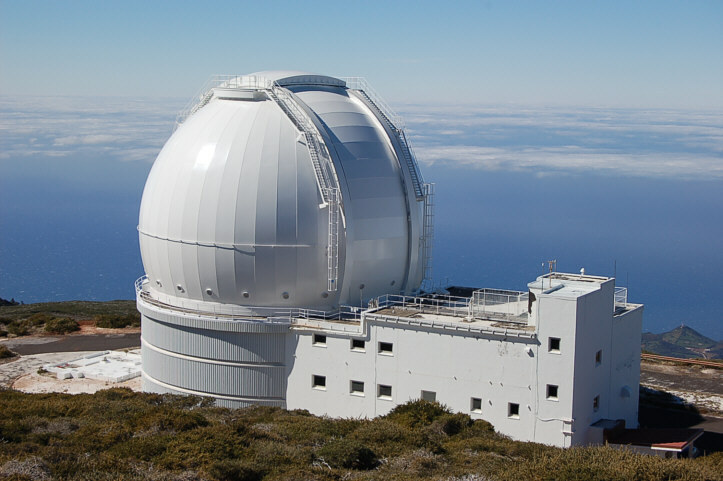 Today, about 60 institutions from 19 countries scrutinize the heavens using 15 telescopes hosted at Roque de los Muchachos Observatory! In 2008, the "Gran Telescopio Canarias" (GTC) was festively opened in the presence of the King of Spain Juan Carlos I. With its 10.4m effective diameter, the GTC is currently the largest optical telescope in the world! This represents one of the best astronomical observation points of the island of La Palma being one of the park's highest peaks situated at 2310m alt. close to ORM. You can walk here from the road linking Pico de las Nieves to Roque de los Muchachos. The viewpoint has a sign pointing to the North Star, a map that helps visitors to recognize the constellations and other basic information about the heavens. In the centre of the island lies the largest known crater and the National Park of the Caldera de Taburiente. This crater was formed when the volcano collapsed during a landslide, some 500 thousand years ago. 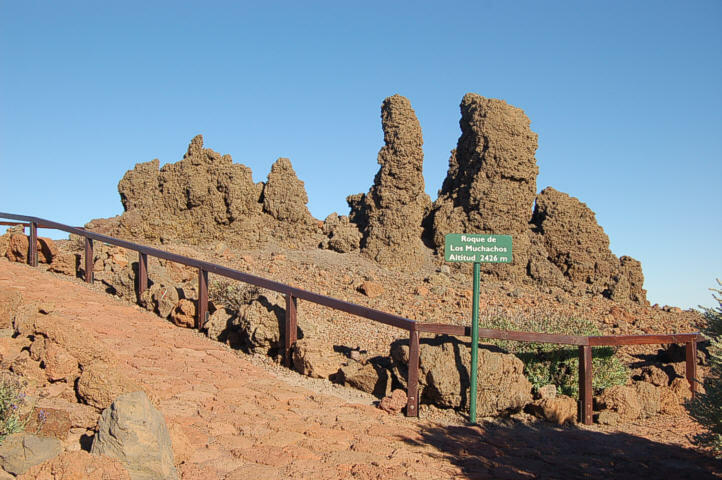 Together with the highest peak on the island, Roque de los Muchachos (altitude 2,423m), 12 further peaks of around 2000m constitute an imposing mountain range at the northern volcanic crater of the Caldera. 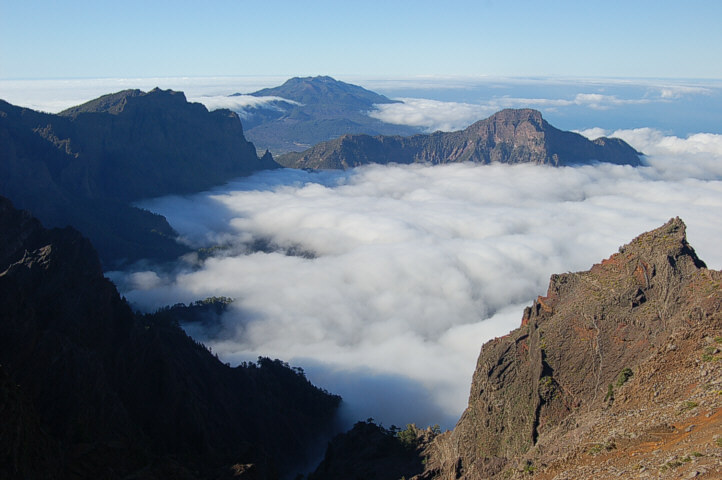 At this height, you are already above the clouds and invited to a fantastic view to the neighbouring islands of La Palma and the peak of the Teide on Tenerife (3718 m altitude), actually the higest mountain in Spain. Standing on the edge of the crater of the Caldera, the visitor can admire from different perspectives the impressive domes of the astronomical observatory. The way to the peak of the Roque de los Muchachos can be taken by car or walk. The roads are in good condition and the route is precisely sign-posted. 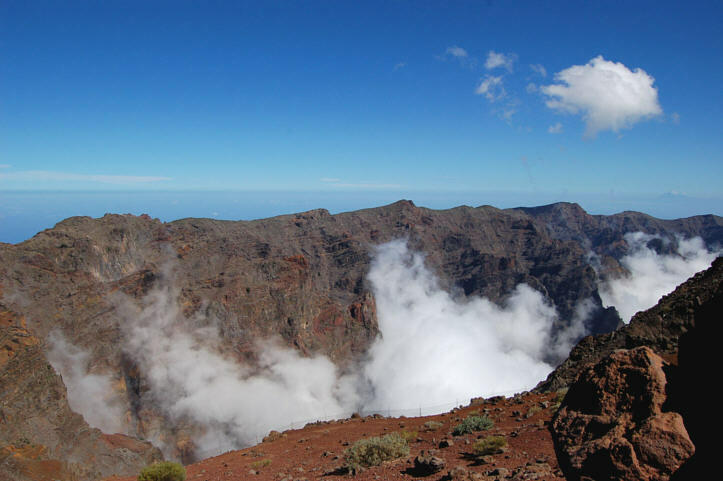 About 1-1.5 hrs are needed to reach Roque de los Muchachos from both Santa Cruz or Los LLanos (via Garafia), passing the very winding 35 km route; because on La Palma, it is not only the kilometres that count, but also the driving time.